In Robin Wasserman's latest young adult novel, readers are swept away into a story of intrigue, thrills, murder, betrayal, alchemy, and conspiracy five hundred years in the making. The Book of Blood and Shadow is a history-laden treasure hunt unlike anything in its genre. When Nora Kane's older brother Andy died, she had to slip away into a new life. Her parents were closed off, and high school would never be the same again. She changed schools and made all new friends who knew nothing of her past life (for the most part). Unfortunately for her, things fell apart once again after she, her boyfriend, and best friend began to crack the code in the ancient Voynich manuscript. As her life is turned upside down, she is forced to go halfway across the world in search of truths about the distant past, her friends, and what really happened the night that her best friend was murdered. There are few things that I love more than an author who does a lot of research. The amount of work Wasserman spent studying the settings, plot points, and historical references in the book really shines through the pages. The historical truths have been beautifully fictionalized, and my enjoyment of it overall surpassed that of Dan Brown's The Da Vinci Code. I also appreciate Wasserman detailing what is real and what is used in a purely imaginary fashion in the Afterward of the book. It made me a very happy quasi-historian. I generally love action-packed, twisty thrillers with history filler, but I hit a few bumps while reading this. I had a hard time getting into the first person narration, which usually is not a problem for me. It may have had something to do with the huge influx of background information at the beginning of the novel. However, once I got into the swing of things, I was sucked into the story. The biggest problem that I had with the book was the majority of the second third of it. With all of the historical and geographical references and five hundred years old letters written by Elizabeth Weston, the plot dragged. It broke up the pacing of the story so much that I became disconnected from the characters both from the present, as well as the past. Fear not, because once again, the story picked right back up. 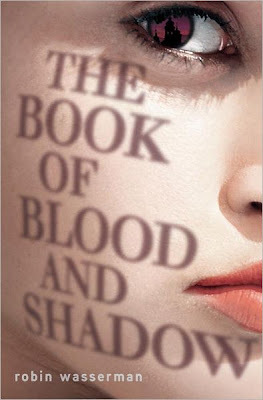 Overall, The Book of Blood and Shadow was an exciting, fun read that kept me guessing until the very end. I highly recommend this book to anyone who enjoyed National Treasure, The Da Vinci Code, and other conspiracy, treasure hunt thrillers. To satisfy FTC guidelines, I am disclosing that I received the book for free from the publisher in exchange for an honest review. It has in no way affected the outcome.